Arlie Boggs Elementary sits between Kentucky’s two tallest mountains in a remote area that once had a booming coal economy. Ten years ago there were over a thousand coal miners employed here in Letcher county. Today, there are just 28. “We were left with many unemployed miners,” eighth-grader Nicholas Sturgill said, as he and two classmates gave a presentation to a small crowd of students and teachers at an education summit in Pikeville, Kentucky. “Paying bills had become a hardship for many. We wondered what we could do to reduce costs in our homes and our schools,” he said. Teacher Myrtle Boggs and her students explain how solar is saving money for their rural school. First, Sturgill and his classmates tried to create hydroelectric power from the creek by their school. Then they came up with an idea that was even more promising. “Our answer was literally right over our heads the entire time," classmate Allison Pendleton said. 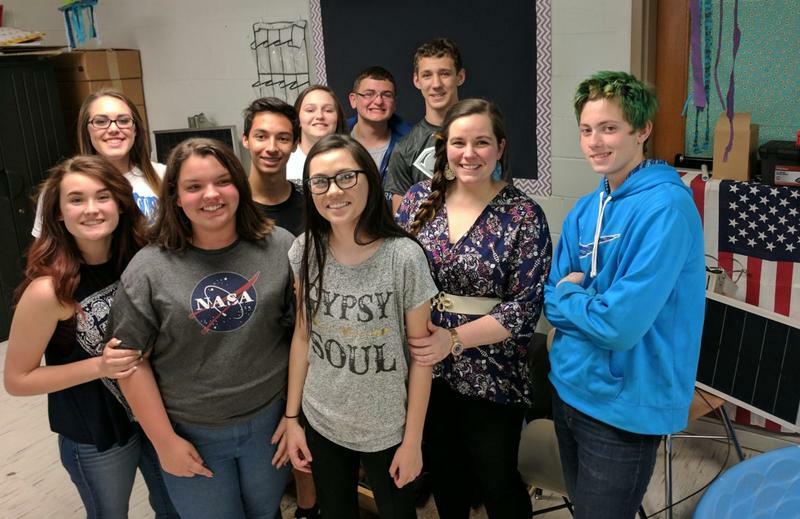 Sturgill, Pendleton, and other students in teacher Myrtle Boggs’ class were able to work with a former student, who had recently launched Bluegrass Solar, a solar installation company based in Letcher County. The three solar panels that sit on the school’s roof are used mainly to charge the classroom laptops, which Boggs said has reduced the school’s energy costs by about $600 each year. The school district shares some of those savings with the school as an incentive for energy conservation. Solar panels installed at Arlie Boggs Elementary in Letcher county, KY.
Boggs’ students researched solar systems and explained how they could connect their solar panels to the school’s power meter in order to sell energy back to the grid. 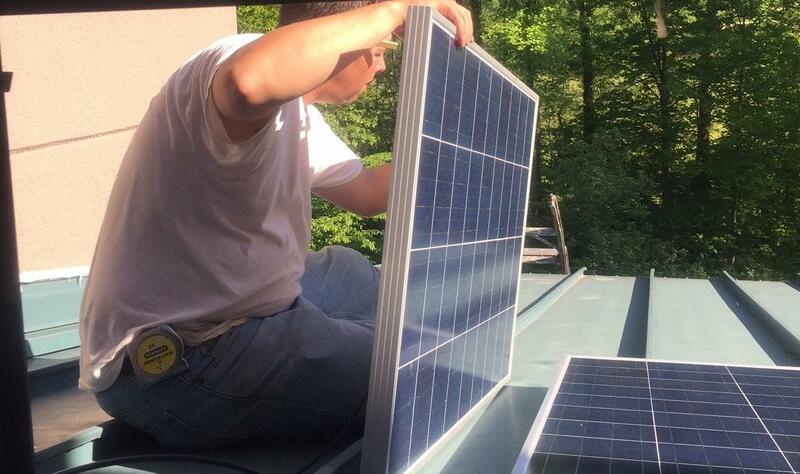 The Kentucky legislature is considering changing the rules on solar purchasing to reduce the amount power companies pay, a proposal that's been met with outrage by many solar supporters, including in Letcher County. 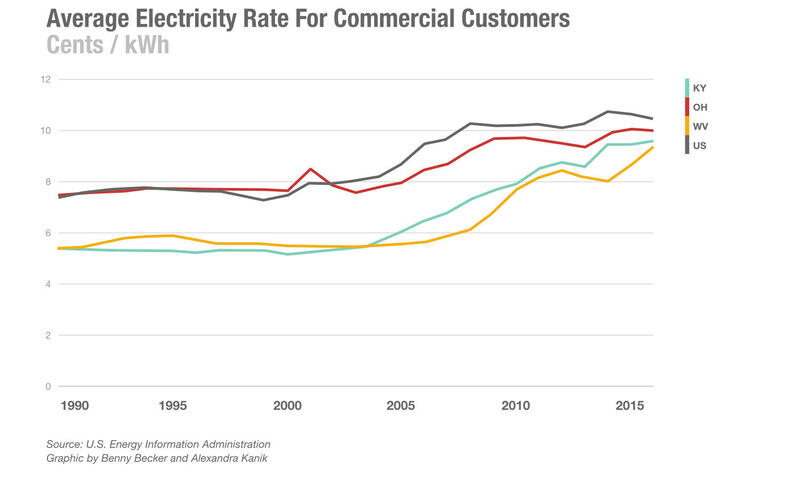 King Coal has lost its crown as America’s leading source of electricity. With natural gas still booming, and renewable energy becoming increasingly affordable, communities that depended on coal for jobs and tax revenue as well as power are having a hard time. While many schools in the coalfields are struggling to keep their doors open, there’s no shortage of students who are trying to create a new energy future for their region. Many schools across the Ohio Valley region are struggling with rising energy costs. 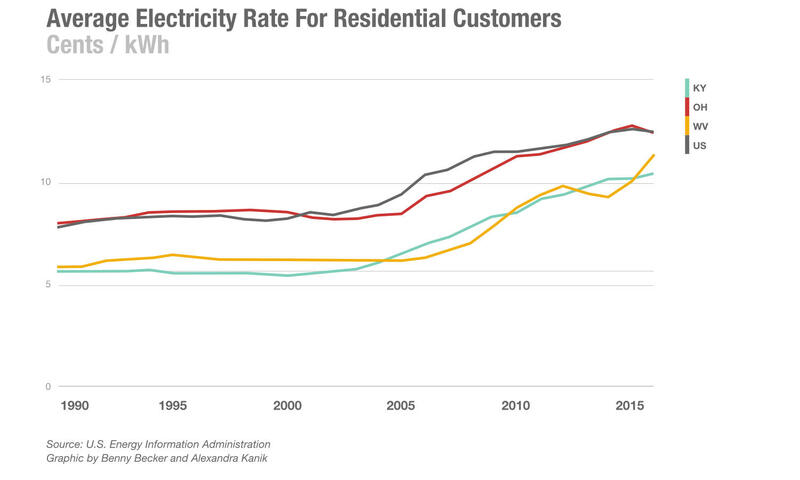 The region’s heavy reliance on coal has led power rates to rise faster here than in other parts of the country. At a recent hearing over a proposed power rate increase in eastern Kentucky, state Commissioner of Education Stephen Pruitt argued that schools would not be able to handle any increased cost. “Many of our schools are literally going month-to-month and even week-to-week to be able to keep the doors open,” he explained to the state’s public service commissioners. Kentucky Education Commissioner Stephen Pruitt argues against a rate increase. The commission did not grant Kentucky Power a rate increase in that case but the decision brought other hardships for schools. Commissioners directed the power company to cut costs by scrapping the program that paid customers who invest in energy efficiency. Schools in Letcher County have benefited from the program which let them upgrade lighting, appliances, heating, and air conditioning. They’ve managed to lower power bills by more than ten percent, saving $130,000 each year. Sherry Sexton oversees energy conservation for schools in Letcher County, as well as in neighboring Harlan County. She said the power company used to cover half the cost of many energy efficiency upgrades, but now they don’t get those subsidies. “We have to put things off a little longer to save more money,” she said. Power rates in Letcher County and across the Kentucky Power service area in eastern Kentucky are much higher than in Harlan County, where electricity comes from a smaller company and a local cooperative. 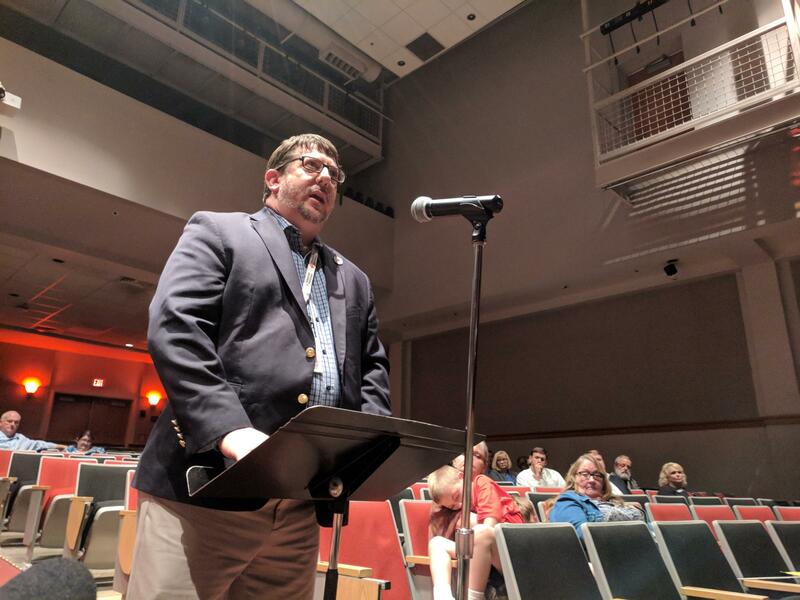 Sexton said Letcher County is also struggling from years of state cuts to school funding combined with a decrease in local tax revenue which had also relied on coal. There’s not much active coal mining left to tax, and the value of unmined coal, which has long made up a large portion of local property taxes, has recently plummeted. 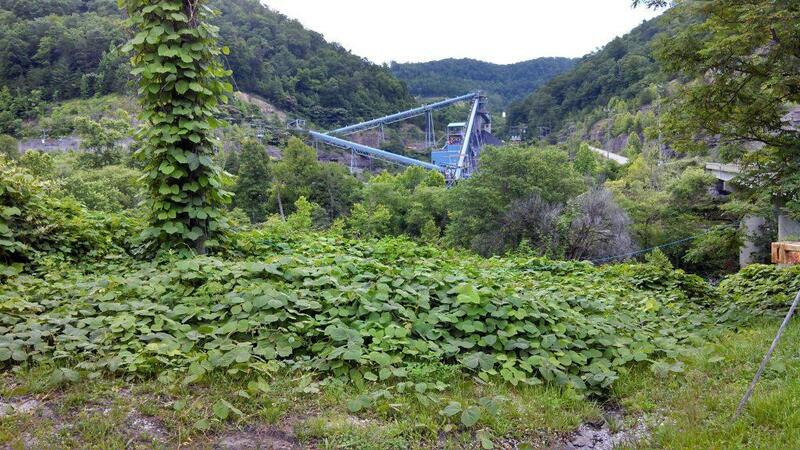 Letcher County is now missing over a million dollars in the annual taxes it once received from the coal industry. All of those budget pressures would make it hard for schools to afford a rate increase. “We would have to start cutting student services, textbooks, and computers, and you don’t want to take those things away from your students,” Sexton said. Sexton and utility analysts agree there will likely be more power rate increases in coming years. So in eastern Kentucky schools, it’s all hands on deck to save energy and cut costs. Kudzu grows near a coal preparation plant in eastern Kentucky. 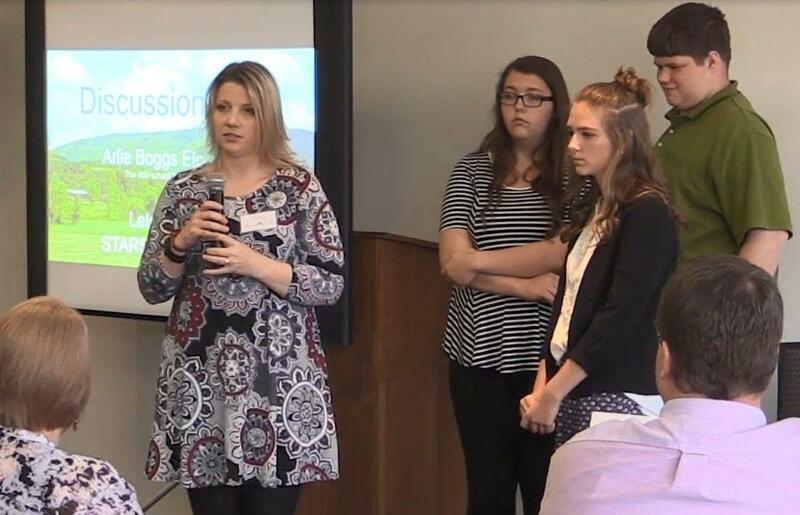 Schools in Letcher County have student teams looking around for ways to conserve energy. Sexton described one project where students measured the power demand of a soda machine. They realized it didn’t need to be lit, so they took out the machine’s bulbs. Every little bit helps. Part of the idea is to help create a culture of conservation that students will take home and carry into the future. 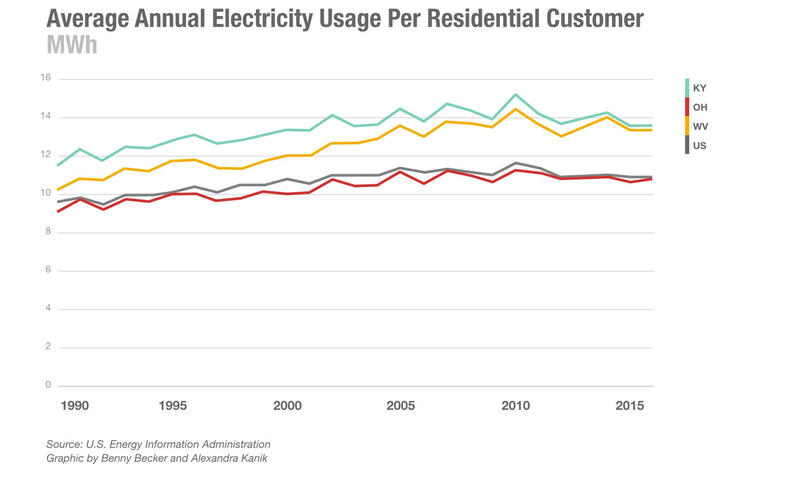 On average, Kentuckians and West Virginians have consistently used more energy than the average American. That’s likely in part because the two states have historically had among the country’s lowest electricity rates. Now, as the costs are growing, there’s more incentive to conserve electricity. This is something Sexton has taken on in her personal life, reducing her home usage by two-thirds. She made a tipsheet full of lessons she’s learned from energy conferences. She shares it widely in hopes of helping some of the many people struggling with steep power bills. In nearby Floyd County, Kentucky, students have been building models to study how and where buildings lose heat. Alivia Stumbo, a seventh-grader at Allen Central Middle School, said that by building model homes out of paper and measuring how heat dissipated using a heat gun, she learned a lot about ways to make homes cheaper to heat and cool. Like the solar project in Letcher County, Stumbo’s class project received funding from a regional school district cooperative, which is now in the last year of a 5-year federal grant. 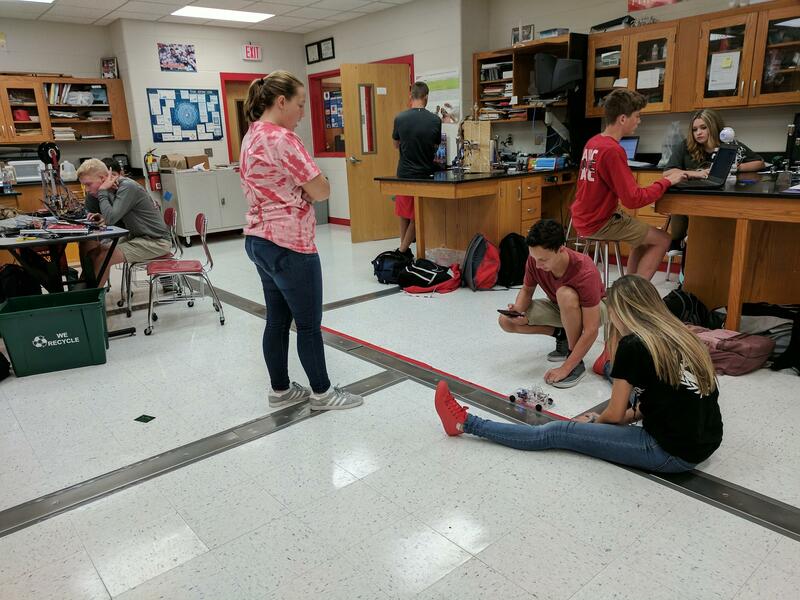 Belfry High School, in Pike County, Kentucky, used funding from the Kentucky Valley Educational Cooperative to allow students in a ninth-grade class to work on one technology project for the whole year. Ryan Varney is part of a group with ambitions to change the future of energy in the coalfields. Belfry High School students, in Pike County, KY, at work on a hydrogen fuel cell. Varney’s teammate, Elyssa Stanley, said her motivation comes from what she’s seen happen to the local coal mines, where her dad has worked over 30 years. “It’s dying down and I think there definitely needs to be something there to back it up,” Stanley said. In just three weeks, the team of four freshman created a fuel cell that could propel a model car. Down the road, they hope to help create a new energy economy here in the coalfields. This story was produced with support from the Solutions Journalism Network. 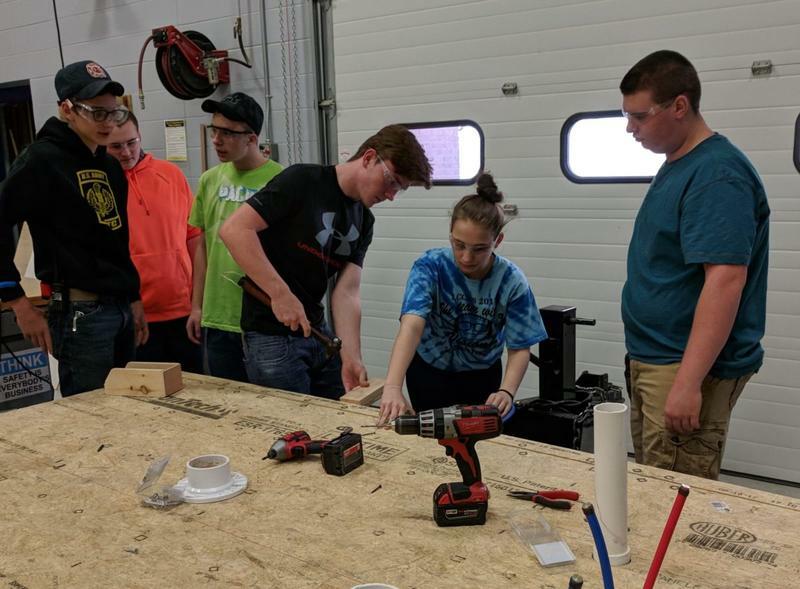 The sound of power tools blends with teenage chatter as students clamber around, under, and over a trailer bed that they’re busy turning into a home. They’re part of a project called “Building It Forward,” which has vocational classes building tiny houses as a way of gaining practical skills and new confidence. Betsy Layne High School serves rural Floyd County in the eastern Kentucky town of Stanville, population 206. Students there produce a video program called “Bobcat Banter” where they usually talk about sports and student life. But early last year “Bobcat Banter” introduced some special guests. “We’re here with Mr. and Mrs. Gates from the Gates Foundation,” the students said. The world’s richest man and his partner in life and philanthropy, Melinda Gates, had dropped in for a chat.